Zionism is my devotion to the Jewish people and its future. Israeli born and raised in an Israeli household, my connection to Israel began the day I was born. Having visited the holy land almost every summer and speaking the language in my house every day, Israel quickly became part of my personal identity. Forming connections with my extended family who live in Israel and to see what Israelies are all about, it didn’t take long for me to realize that I am very much a part of this cohort. In addition, growing up with Israeli news stations in my home and listening to my parents ongoing discussion about the state of Israel, I realized at a young age that this place was different than other countries. Over time, learning about the Holocaust and the amount of struggles we as a people have gone through, it became evident to me that the Jewish people had a land they can always call home. Zionism, to me, is not only the historical connection in which Jews have always lived but it is also the belief that the Jewish people have the right to exist in peace and dignity in their own land. There has been a continuos Jewish presence in the land of Israel since ancient times and I believe that it is up to Jewish leaders like myself to ensure that the holy land maintains this message and follows through with its right to exist and excel. In addition, Israel has provided refuge and a home for Jews escaping their own experiences of persecution in other parts of the world. To me, Zionism is the home for Jews experiencing these hardships knowing there is a place for them to feel at home and practice their religion without any fear. Zionism means one Jewish state living peacefully with its neighbors. However, we live in a world where Anti-Zionist and Anti-Semitism exists. With these ongoing conflicts, we must support those who create unity and encourage tolerance for the state of Israel. Religious extremism divides people. Ethnic hatred divides people. What happened in the past cannot be changed. The question now is, how do we move forward? I believe living and exploring the land will provide those answers for me to help confidentially lead my generation and the generations to follow in a place of peace and unity.  Zionism is incredibly essential today in helping to shape the Jewish identity of my peers. We live in a secular world where our ancestors and their stories are quickly being forgotten. With this in mind, in a world where so many Jews are marrying outside Judaism, it is more important than ever to ensure that the Jewish people have a future and a land where we can continue to call home. Therefore, to be a Zionist today is to continue the establishment for the need of a Jewish state where people can always go to. Being a Zionist today means continuing to support the right for Israel to exist so Jews can continue to feel inspired, educated, and enlightened on this journey of pride and peace.